Hugs for Hailey: Let's go fly a kite!! Hailey was very excited to be given a kite at school on what happened to be a very blustery day! She's never flown a kite before and didn't really understand that the wind is what made the kit fly. She was mad it didn't automatically go up in the air and just start flying. It took a couple tries but we got it to work! Josh would get it up in the air and then let Hailey hold onto the string. Such joy and excitement of flying a kite!!! 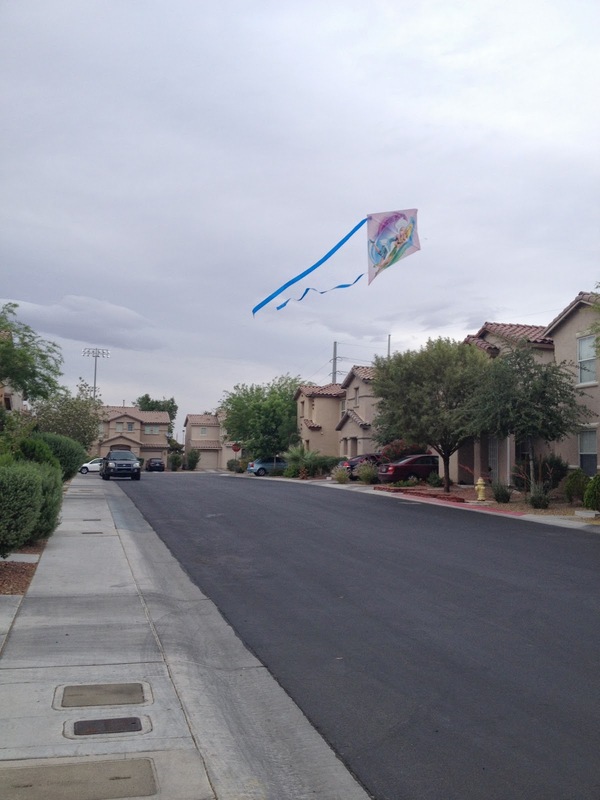 Can you imagine if all it took to put a smile on your face was going outside and flying a kite? It's such a small thing to some, but to Hailey it quite an amazing thing. I'm glad for that.